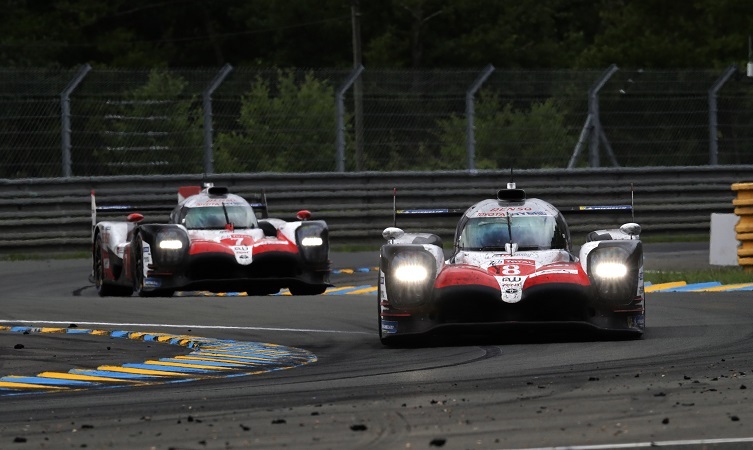 Sébastien Buemi, Kazuki Nakajima and Fernando Alonso started from pole position in the #8 Toyota TS050 Hybrid and claimed their win after 388 tense and often dramatic laps of the La Sarthe circuit. 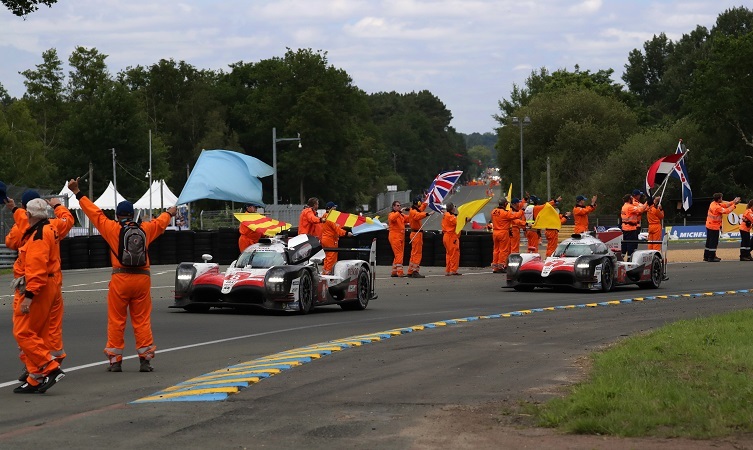 The result extends their lead in the 2018-19 FIA World Endurance Championship. 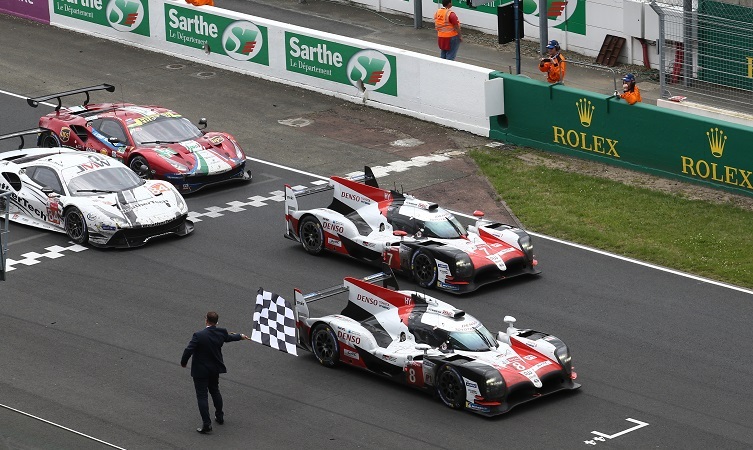 Mike Conway, Kamui Kobayashi and José María López, who led for long periods of the race in the #7 car, made it a perfect result for Toyota, coming home in second place in front of more than a quarter of a million fans. Prior to this weekend’s race, Toyota had entered 47 cars at Le Mans and finished on the podium six times. Today’s result makes it only the second Japanese manufacturer to win the race, while Nakajima becomes the first Japanese driver to win in a Japanese car. The result is the culmination of intense and determined efforts by Toyota Gazoo Racing colleagues from Higashi-Fuji in Japan and Cologne, Germany, to continually improve the hybrid electric technology which powers the race cars. 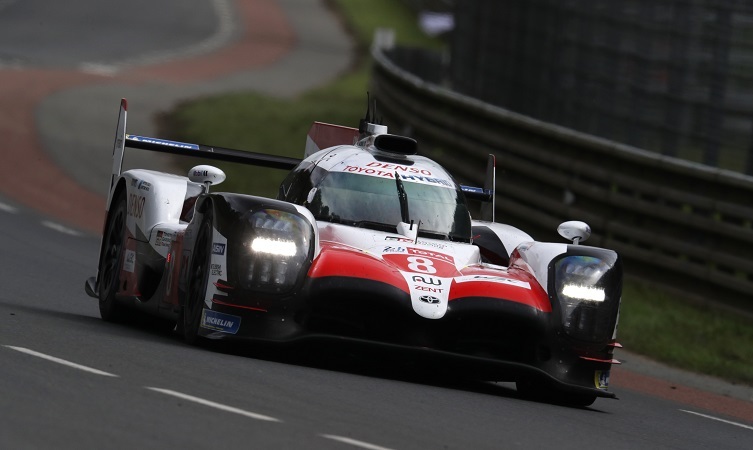 In winning the weekend’s race, the cars used 35% less fuel than in 2012, when Toyota returned to international endurance racing. The two TS050 Hybrids were evenly matched throughout the 3,285 miles of the race and swapped the lead several times. Two stop-go penalties for the #8 car, compared to just one for the #7, required Alonso to put in an impressive night-time stint on his Le Mans debut in order to get back into contention. It proved to be a day on which all the drivers performed exceptionally in a high-pressure environment. A fuel issue late in the day dropped the #7 Toyota off the lead lap, so Nakajima crossed the line with a two-lap lead from Kobayashi in the sister car. The team now has a nine-week break before returning to action in the third round of the FIA World Endurance Championship, the 6 Hours of Silverstone, on 17-19 August.